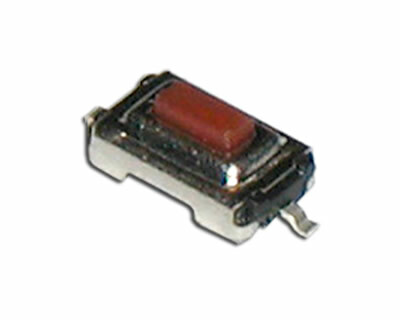 Rectangular in shape, the CS1205 SPST tact switch is 6.1mm long by 3.7 wide. 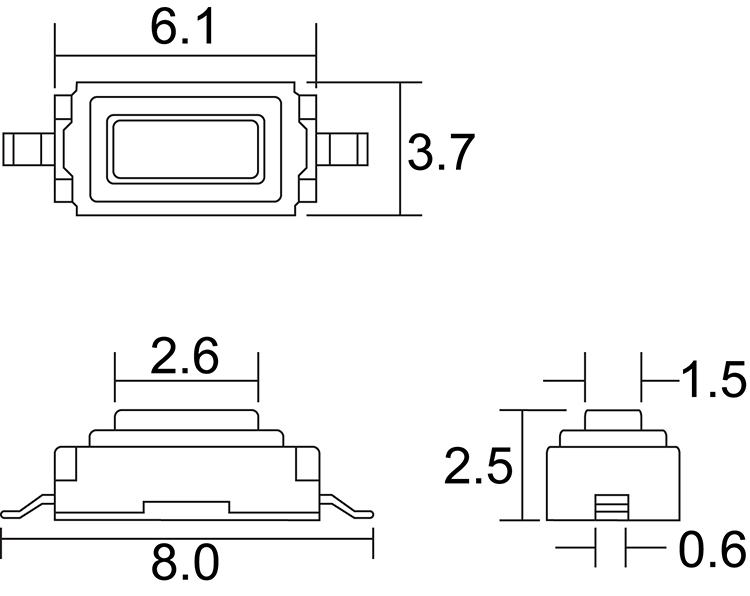 This single pole single throw switch is surface mount and momentary, actuation force choices are 180gF and 260gF, with actuator travel of .30mm. It has 100,000 electrical life cycles and features housing and actuators made with 4/6 Nylon material. The surface mount switch also features contacts made with silver-plated phosphor bronze and a terminal made with silver-plated brass.